As yet more excerpts and quotes from Roy Keane’s second autobiography continue to ooze out all over the internet, one anecdote has caught Pies’ eye this morning. “I rang [Blackburn manager] Mark Hughes about Robbie Savage. Robbie wasn’t in the Blackburn team and I asked Mark if we could try to do a deal, a permanent or loan deal. “Robbie’s legs were going a bit, but I thought he might come up to us at Sunderland, with his long hair, and give us a lift, the way Dwight Yorke had – a big personality in the dressing room. “Sparky gave me permission to give him a call. So I got Robbie’s mobile number and rang him. “It went to his voicemail: ‘Hi, it’s Robbie – whaaaazzzzzzuuuup!’ – like the Budweiser ad. Which we think qualifies as #purebanter, though we hardly claim to be experts in the field. Huh. 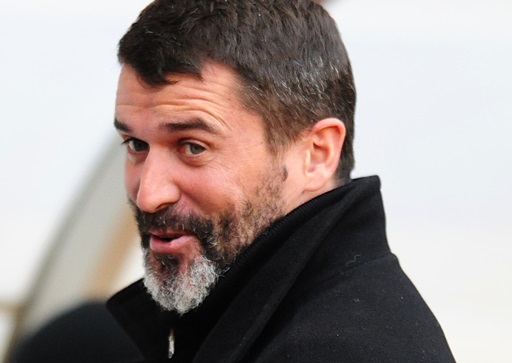 I loathe Roy Keane slightly less now. It’s disconcerting. I’m sure all these quotes are taken out of context and the book is really a big soppy romantic love story.